William December Williams, Jr. was born on 6 April 1937, in New York City, New York USA, of West Indian and African-American descent. He is a famous actor, musician, writer and visual artist perhaps best known for his appearances in the “Star Wars” franchise movies, and the 1989 superhero film “Batman”. So how rich is Billy Dee Williams nowadays? Sources estimate his current net worth to have reached $7.5 million, most of his wealth having been accumulated through his work as a film, television and voice actor. Billy Dee is one of those actors who began their career on the theatre stage and later moved on to act in the film and television industry. He made his Broadway stage debut as a child actor in 1945 in “The Firebrand of Florence”, and as an adult actor in 1960 in “The Cool Word”. Meantime, in 1959 he made his first film appearance in the drama “The Last Angry Man” and in 1966 he became a cast member of the soap opera “The Guiding Light”. 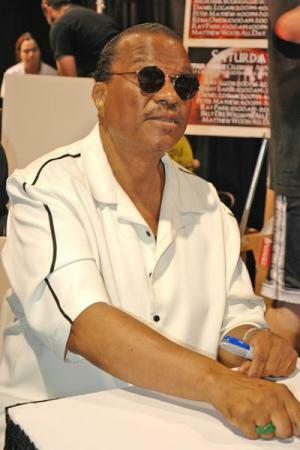 Being cast as one of the lead characters in the television film “Brian’s Song” had significantly influenced Billy Dee’s career. In 1980 he was chosen for the character of Lando Calrissian in the epic space opera “The Empire Strikes Back” which was extremely successful and undoubtedly helped in raising both Billy Dee’s popularity and net worth. He has also appeared in another “Star Wars” franchise movie “Return of the Jedi” in 1983, and as a voice actor in the “Star Wars” saga adaptation in “National Public Radio“. Another important role in Billy Dee’s career was him playing the character of Harvey Dent in 1989 superhero movie “Batman”. At about that time he appeared in a number of commercials for Colt 45 which resulted in a lot of criticism. Later in his career, Billy Dee guest starred in a large number of television shows including “General Hospital” in 2009, “White Collar” in 2011, “NCIS” in 2012, “Modern Family” in 2013 and “Glee” in 2014. Another aspect of his life which might have contributed to his net worth is painting, something which he practiced even before starting his acting career. His works are good enough to have been displayed in a number of galleries, including the National Portrait Gallery, the Schomburg Museum and the Smithsonian Institution”. Further, while writing isn’t his main source of income, he has published three books: “PSI/Net” in 1999, “JUST/In Time” in 2001 and “Twilight: A Novel” in 2002, which have contributed to his net worth at least to some degree. In his personal life, Billy Dee married Teruko Nakagami in 1972 and they raised a daughter named Hanako born in 1973. Billy Dee has a son Corey from his first marriage with Audrey Sellers, and was also married to actress Marlene Clark(1968-71). 1 [Defending his appearance Colt 45 advertising] I drink, you drink. Hell, if marijuana was legal, I'd appear in a commercial for that too. 2 I tell my son Corey that the greatest teacher is the teacher who says, "Don't follow me, follow yourself. Because within you there is that kingdom, that life, that force.". 3 There's always been a lot of misunderstanding about Lando's character. I used to pick up my daughter from elementary school and get into arguments with little children who would accuse me of betraying Han Solo. 1 Uncle of Larry Riley. 2 Inducted into the International Mustache Hall of Fame in 2015 (inaugural class) in the category Film & Television. 3 His father was from Texas, and his mother was from Montserrat, an island in the Caribbean. 4 Inducted into the Black Filmmakers Hall of Fame in 1984. 5 The character Walter "Doc" Hartford from the animated space opera The Adventures of the Galaxy Rangers (1986) was based on him. 6 He was awarded a Star on the Hollywood Walk of Fame at 1521 Vine Street in Hollywood, California on March 27, 1985. 7 In addition to playing Lando Calrissian in the original Star Wars trilogy, he played the part in the NPR radio dramatization of "The Empire Strikes Back" (1983). However, he was not available to reprise the role for "Return of the Jedi" (1996). 8 Is one of three actors, along with Anthony Daniels and Mark Hamill, to reprise their same roles from the original Star Wars trilogy in the NPR radio dramatizations of the trilogy. 9 Was cited as one of the most promising movie personalities of 1973 in John Willis' 1974 Film Annual "Screen World" book. 10 He still actively paints, and some of his work can be seen at his online gallery. He has had solo exhibitions in various galleries around the United States, and his work hangs in the National Portrait Gallery, the Smithsonian Institution, and the Schomburg Museum. The beautiful covers of the Thelonious Monk Competition programs since 1990 are by him. 11 Studied art at both New York's High School of Music and Art and at the National Academy of Fine Arts and Design. 12 Has a son named Corey Dee Williams, who graduated from North Hollywood in 1978. Stepdaughter Miyako also attended same high school and was in the 10th grade when Corey graduated. 13 Has two children: Corey Dee Williams (b. 1960) and Hanako Williams. (b. 1973). 14 He accepted the role of D.A. Harvey Dent in Batman (1989) with the knowledge and expectation that Dent would eventually become Two-Face; he reportedly had a clause put into his contract reserving the role for him in any sequels, which Warner Bros. had to buy out so they could cast Tommy Lee Jones. 15 Originally auditioned for the role of Han Solo in 1976. 16 He and actress/singer Diahann Carroll were classmates at the New York City High School of the Performing Arts, the school that was featured on the popular television series Fame (1982). 18 Has a twin sister, Loretta Williams. 19 Has appeared in the music video and sang in the choir on the song "Voices That Care". 20 Was an accomplished art student even before his acting career began. Has had professional gallery showings where his oil canvases have sold for tens of thousands of dollars. The 35th Annual Tony Awards 1981 TV Special performer: "There Is Nothing Like a Dame", "Irene", "Evelyne", "Bloody Mary", "Mame", "Hello, Dolly!" 1985 Star on the Walk of Fame Walk of Fame Motion Picture On 27 March 1985. At 1521 Vine Street. Star Wars Episode 9: Is Billy Dee Williams reprising the role of Lando Calrissian? Star Wars 9: Lando Carlissian CONFIRMED - what will Billy Dee Williams do in new movie?